1 YRS Huzhou Guoneng New Material Co., Ltd.
1 YRS Weifang Meizhitai Building Materials Co., Ltd.
2 YRS Guizhou Shengyuan Waterproof Materials Co., Ltd.
3. Cut the nozzle tip with the utility knife and make a hole the size of the bead you want. Q3. What is your caulking gun sample making time9 A: 1-2days. Q4. What is your shipping way9 A: By sea,by air,by express. 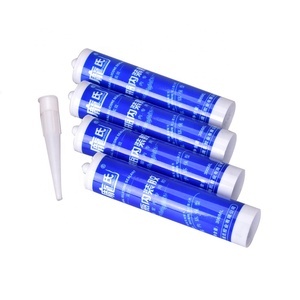 silicone sealant, more shall pay before order and return in order. ) 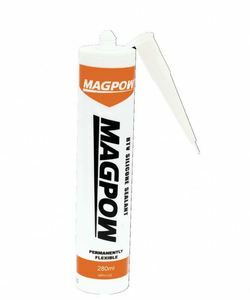 of silicone sealant for one model one size. 3. OEM service9 OEM service is totally free of charge. 1 YRS Qingdao Detaichanghe Commerce & Trade Co., Ltd.
1 YRS Qingdao iLash Cosmetics Co., Ltd.
so that these hairs are able to keep their curls soft and elastic for a long time. Q2.Can Mink Eyelashes be used many times9 Yes,it can be used many times if they are used and removed properly. We do not suggest using mascara on the eyelashes as it will give them a less natural look and shorten use time. The system is also equipped with a pipes overload protection device, which makes it to be more safety for operation. 5.The internationally prevailing stationary reciprocating mixer is used in the machine, with the specially designed needle valve, the mixture result is excellent. The special material with elasticity is used to make the dispensing nozzle, the production of insulating glass is more convenient, simple and elegant. Alibaba.com offers 143 korea sealant products. About 23% of these are adhesives & sealants, 16% are eyelash glue, and 16% are false eyelashes. A wide variety of korea sealant options are available to you, such as construction, transportation, and fiber & garment. You can also choose from silicone, polyurethane, and acrylic. As well as from double components adhesives, hot melt adhesives, and volatile solvent adhesives. And whether korea sealant is free samples, or paid samples. There are 143 korea sealant suppliers, mainly located in Asia. The top supplying country is China (Mainland), which supply 100% of korea sealant respectively. Korea sealant products are most popular in Mid East, North America, and Southeast Asia. You can ensure product safety by selecting from certified suppliers, including 17 with ISO9001, 2 with ISO/TS16949, and 2 with ISO14001 certification.